I love colors, but I know for a fact that I never get tired of black and white. I love the contrast between them as well – dramatic, sophisticated and stylish all at once. This home hits right in the middle of my heart – does it hit you? the photos look gorgeous. Thanks for sharing. Have a nice day in Oslo. Very nice. 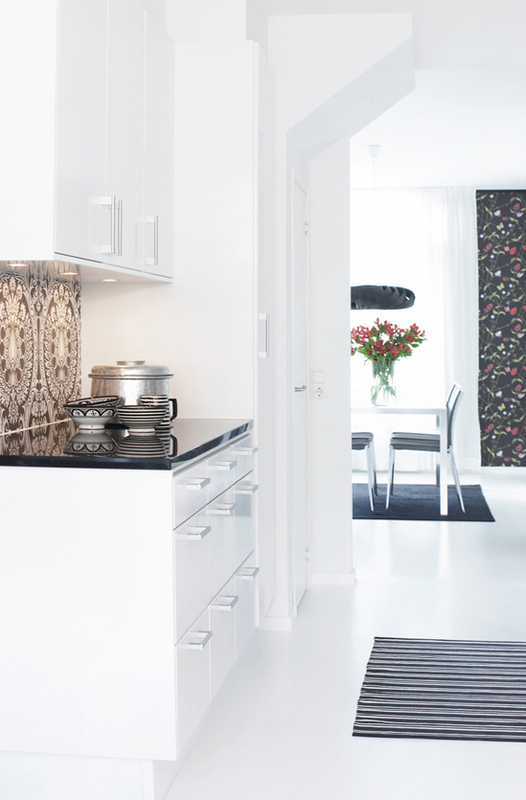 I always love white floors, except tiles in the livingroom e. g. Really nice home that needs some dabs of pains for not having an effect of too much coolness. Have a nice relaxing weekend, too! Gorgeous photos! I love these two colors much! and you can add some little colors for every season. So Perfect! Stopping by at your blog is a feast for the eye…over and over again…I admire your talents!!! 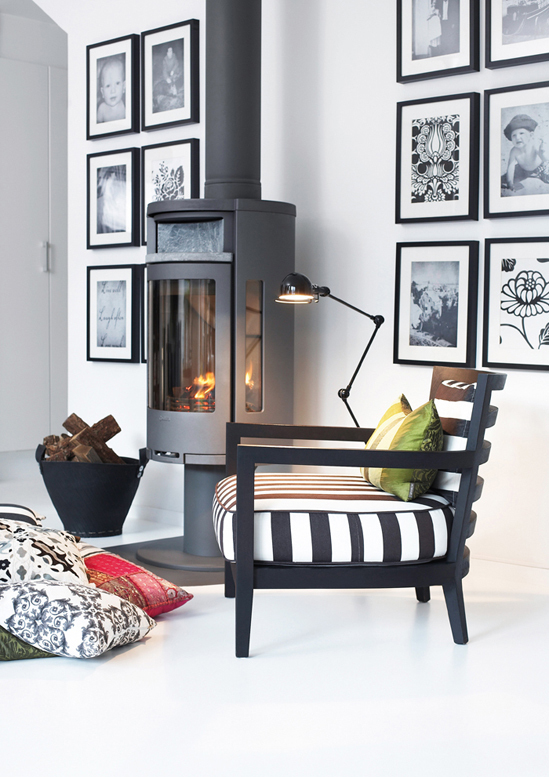 Love that monochrome nook area at the top. COSY! *You have a wonderful home…i love it! Nina I love b&w, I started to decorate my living with these colors but now i’m turning into athers colors shared with black and white and I’m very happy for the result (http://www.stylizimo.com/album_file.php?user=Valentina&album_id=692&media_id=3905)! I LOVE that high chair!! enig, dette var stylish, og tv rommet deres ble jo smashing!!! a slick design with a mix of colors that fit, I saw this very nice and pleasant to look at. 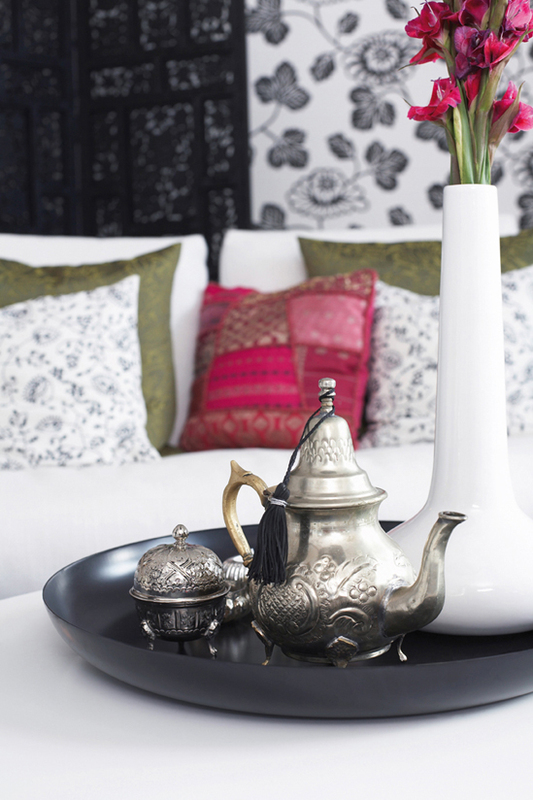 The Moroccan Decorating Gadgets fits perfectly into your contemporary interior Designs !